Today's share is a peek at what this Weeks Friday Video is going to be of. 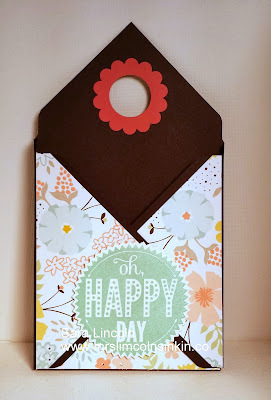 These adorable stationary/card holders that i made using the Envelope Punch Board!!! 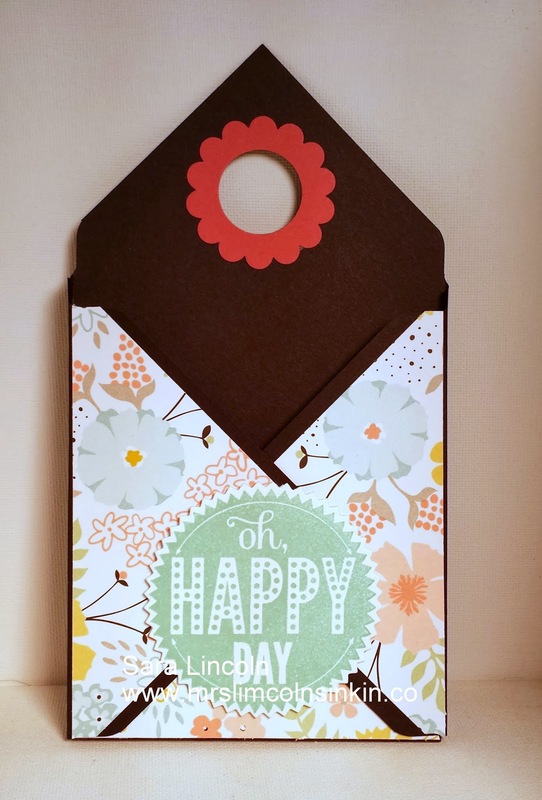 I first thought this would be a great idea for anyone that likes to write notes, like me, they could have their little note holder hanging right where they would need it most. By the refridgerator, the phone... the craft room, lol. Anywhere they wanted to hang it. This holder would hold a average size card of 4 1/4" x 5 1/2" or, if you wanted it for a stationary holder, if you were to quarter your 8 1/2" x 11" piece of computer paper, if would hold them just perfect. But i will explain all that on Friday in the video. 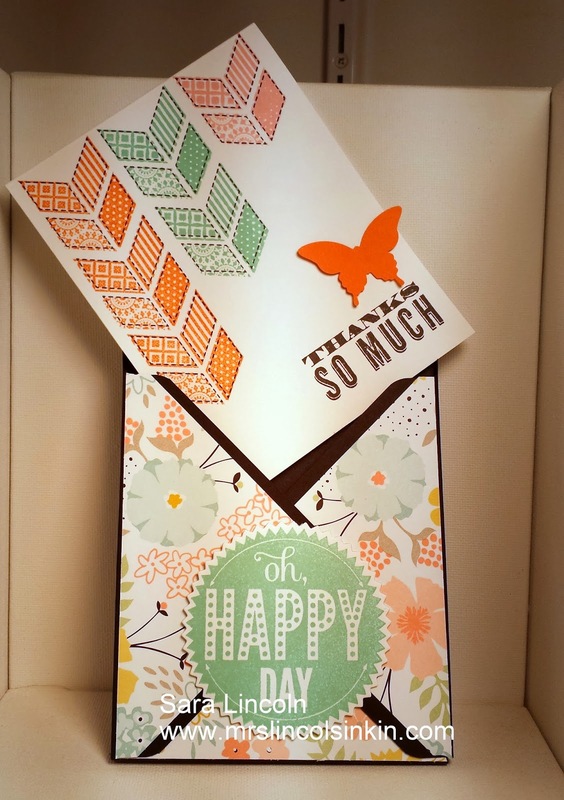 The card that i displayed in the above picture is a card that i have already posted. To see the entire post on that car click HERE. This post also has many Sneak Peeks of products that are coming out January 3rd in the new Occasions Mini Catalog.